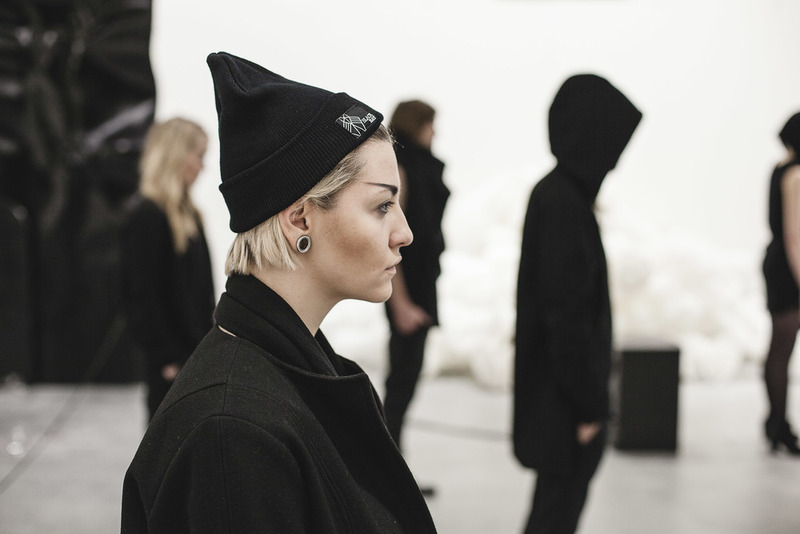 ​Exhibition Oslo Fashion Week, A/W 13 "Mutiny"
As part of the opening night of Oslo Fashion Week 4th. of February, Black Rat was presented as newcomer of the season. eroic models next to amazing art by Matthew Barney and to the tunes of ALTAAR, the exhibition on the Astrup Fearnley Museum of Modern Art 4th. of February became eyecathing and unique. "Mutiny" consits of 12 outfits. 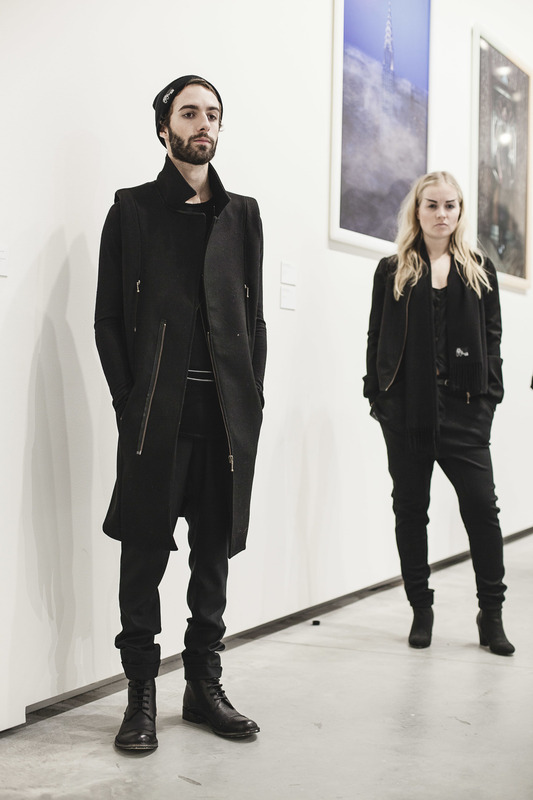 6 menswear + 6 womenswear. The collection is inspired by the travelling sailor who has life experience built on hard weather and mutinies. The expression is part classic, part androgynous. The ground thought behind the concept of Black Rat - Norwegian underground music - sets the relaxed silhouette. As one by one model moved frequently between the art installations to the deep drone tunes by ALTAAR, the Black Rat exhibition was hypnotically catchy. The audience expressed that they almost didnt manage to stop watching.